Fat and Happy Food Blog Tips and Techniques: For ease, pre-cut the mango and salmon, but hold off on mixing the avocado until just before serving. You could serve this as a large appetizer by layering the components in a serving dish and serving with a simple cracker. Peel the mango and cut into little blocks small enough to fit on your serving spoon. Blend the red onion, cilantro, lime, olive oil and a dash of salt until smooth. Add avocado mix until combined. 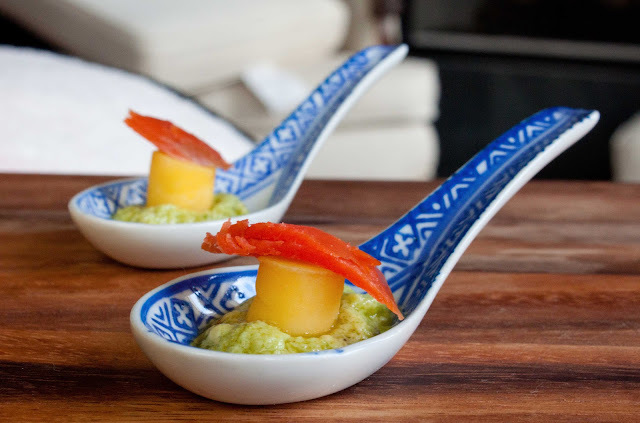 Assemble: Place a dollop of the avocado mousse in the bottom of the serving spoon, add a chunk of the mango and top with a little piece of the smoked salmon. Serve immediately. 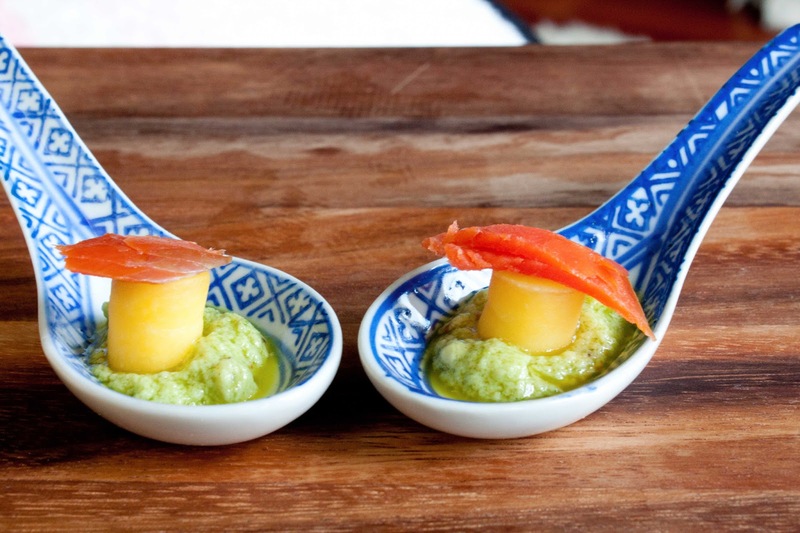 Great idea for an appetizer, and a really attractive way to serve it as well!